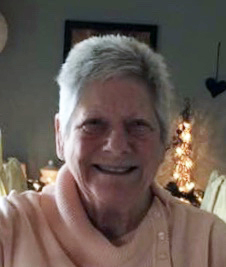 Catholic funeral services will be held at 2:00 pm on Saturday, December 1, 2018 in the Sunrise Chapel at Walters Funeral Home for Jean Miller Kegley, 75, who passed away November 29, 2018 at her residence. Deacon Cody Miller will officiate the services. Survivors include her husband, Paul Kegley of Scott; one daughter, Pam Ryder, three sisters, Doris (Fred) Sibille of Houma, Debra Miller of Redwood City, CA, and Dianne (Ron) Myers of Copper Canyon, TX; two brothers, Dale (Sandra) Miller of Carencro, and Barry (Judy) Miller of Ossun; three grandchildren, Erin (John) Miller of Duson, Dylan Ryder of Lafayette and Shelbi Ryder of Lafayette; and two great-grandchildren, Makenzie and Aiden Miller of Duson. She also leaves behind her beloved dogs, Tiki and Tobias. She was preceded in death by her parents, Noel Miller and Annie Hollier Miller; one son, Jamie Chiasson; and one brother, Darrell Miller. Jean was a native of Sunset and resident of Scott for the past 33 years. She was a longtime employee of the City of Lafayette, working as a plant operator in the waterworks division. She was a member of the Toyota Land Cruiser Association and the Bayou State Land Cruiser Association. Pallbearers for the service will be Dylan Ryder, John Miller, Barry Miller, Dale Miller, and Ron Myers. The family requests that visitation be held on Saturday from 8:00 am until the time of service. A rosary will be prayed at 10:00 am at the funeral home. Special thanks are given to Amy and Sarah of Hope Hospice for their love and compassion shown to Jean during her transition.